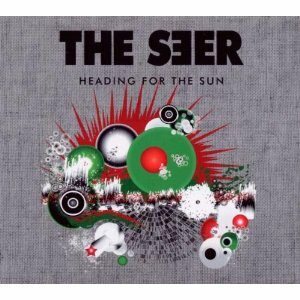 This is my first encounter with German band The Seer, but if this album is anything to go by, I will definitely be tracking down their back catalogue. Yes, this has turned out a very pleasant acquaintance! The Seer are a 5 piece band, and the thing that struck me the most has to be the instruments used, with Jo Corda, who plays mandolin, bouzouki, sitar and lap steel, and Peter Seipt, who plays accordion and keyboards. (the rest of the instrumentation is more regular, with bass, drums and guitars plus vocals). The use of these less common instruments adds a different vibe to the music and really sets them apart. At least in my humble opinion. And all this while maintaining an accessible nature. Sound wise The Seer are a Rock band with a Pop kinda attitude. So the guitars are there but don´t dominate. In some aspects they remind me of Big Country and Tom Petty. In a good way! The songs are very melodic and catchy as hell. Still they avoided the all too obvious routines and delivered a strong album that nests itself easily in your brain and makes you hum along without noticing. Highly recommended! Personal play tips: What We Are, Raining, Eyes Gone Blind.